FREE Sequential Picture Card Session Ideas! 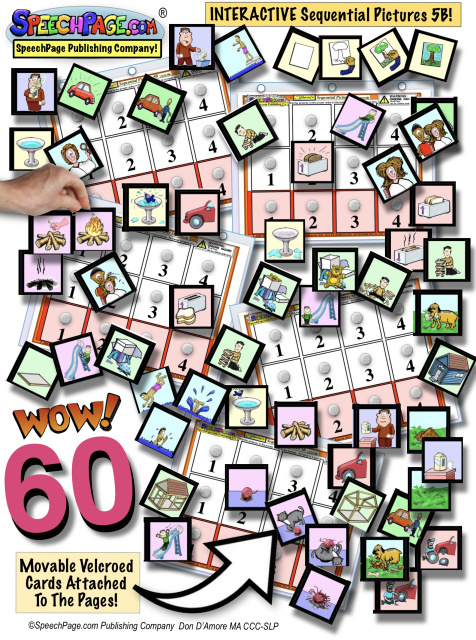 14 Pages of Sequential Picture Cards & Language Learning Activities! 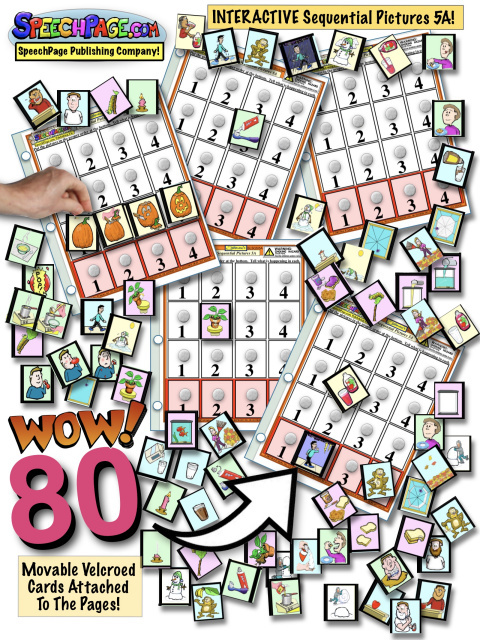 This includes 20 different sequential picture cards you can use with these activities! 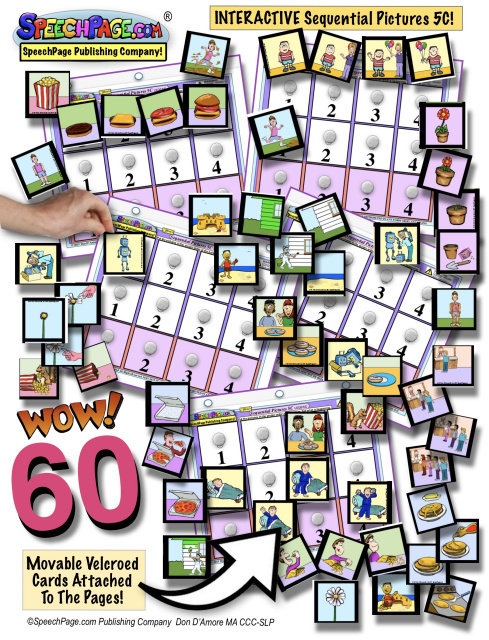 Our Free Download Focuses On Using Sequential Picture Cards For: VERB TENSE, ARTICULATION, WH-TYPE QUESTIONS, DEDUCTIVE AND INDUCTIVE REASONING AND MUCH MUCH MORE! All SpeechPage Sequential Picture Card Sets are heavy-duty laminated with fun colorful sequential illustrations, written and illustrated by an SLP with over 25 years of experience! Your free download is below. ALSO PLEASE NOTE: By downloading and viewing any of the free offered items, including free speech therapy activities, free speech therapy ideas and free speech therapy printables, you acknowledge that you will not use these for profit or for sale, and that SpeechPage assumes no liability for the use or misuse in anyway of the information or materials provided. All materials are possible generalized helpful ideas and suggestions only. Recommendations for appropriate Speech Language Therapy, therapy materials or communication systems can only be made by a qualified Speech Language Pathologist (SLP) following a formal multi-factored Speech and Language evaluation. There are many different aspects of the individual's abilities and degrees of severity of communication abilities, methods, and differences that must first be determined through formal evaluation by a qualified professional before selection of materials or methods of therapy. All free speech pathology materials are provided as a courtesy and as is, with no further warrant or expectation or intention of purpose.